The Navy’s AN/SPY-6(V)1 Air and Missile Defense Radar (AMDR) completed its final round of developmental testing having successfully tracked its 15th ballistic missile target. During the Jan. 31 test in Hawaii, the SPY-6 searched, found and tracked a ballistic missile target launched from the Navy’s Pacific Missile Range Facility as part of the radar’s development, according to the Navy. 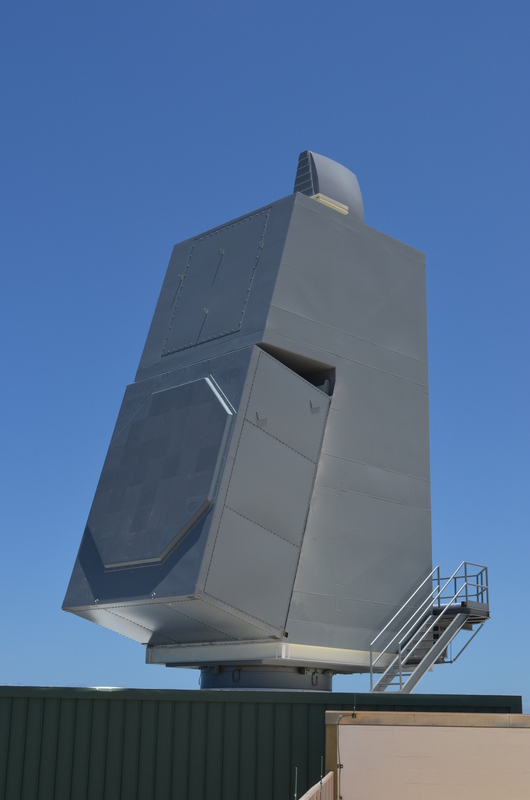 The Raytheon-built SPY-6 radar is an integral component of the Aegis combat weapons system’s latest upgrade, the Baseline 10, which the Navy and developer Lockheed Martin expect to achieve initial operational capability during the Fiscal Year 2023. The Flight III Arleigh Burke guided-missile destroyers will have the Baseline 10 system. The future USS Jack H. Lucas (DDG-125) is the first Flight III ship, according to the Navy. Huntington Ingalls Industries’ Ingalls Shipbuilding in Pascagoula, Miss. – one of two DDG builders – expects to deliver the destroyer to the Navy in 2021. The SPY-6 radar is on schedule to be delivered to the ship in 2020, according to Raytheon. The SPY-6 radar is up to 30 times more sensitive than the older AN/SPY-1D(v) radars, the Navy has said. However, the SPY-6 also requires much more power. The Flight III design modification centers around the new radar but also includes systems to support the SPY-6, such as a new power plant that converts 4,160-volt AC power into 1,000-volt DC power. These generators are similar to the ones developed for the DDG-1000 program, according to the Navy.